Our first connection to Adam Tilford of Milagro Modern Mexican began with SPACE’s own Dee Ryan, who decided to poke her head in the door of the vacated space in Webster Groves that had previously been home to The Natural Fact Deli and before that, Swifty’s. Inside she found Adam and family, diligently working to adapt the space into a new concept for St. Louis: Modern Mexican cuisine. While they did not have a lot of money to revamp the space, they did have a clear vision for the type of food they would serve, plenty of experience, and a great chef in Adam’s brother, Jason. Milagro Modern Mexican opened in the Spring of 2010. Milagro has established a reputation for excellent food and service, with the only criticism being a less than stellar atmosphere. The half walls separating the bar from dining areas were meant to create a sense of intimacy but instead served to divide and conquer the energy of the space. Hanging Mexican-inspired relics and art on painted drywall can only go so far in bringing a sense of authenticity. It needed enrichment. Talk about an engaged client! Presented design concept Friday to @MilagroModMex. 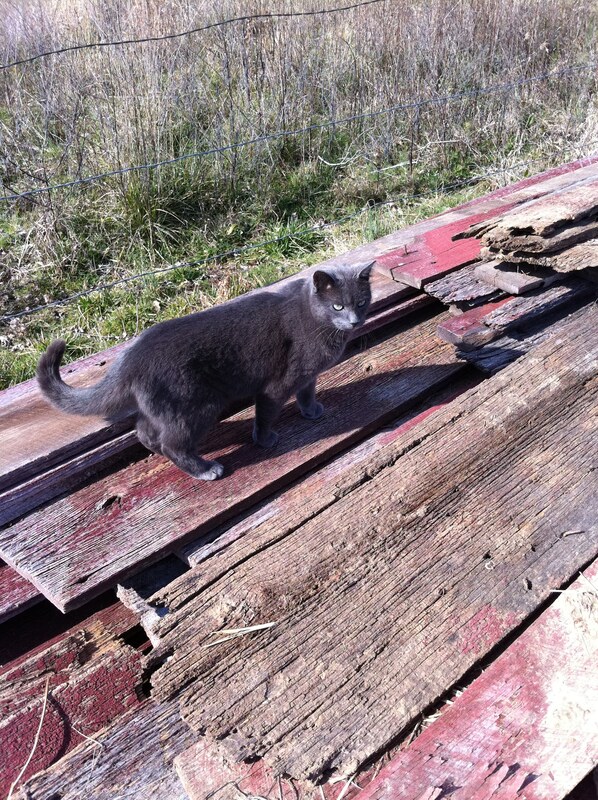 By Sunday he was hauling trailer of barn wood to our shop! Adam and I made our first connections via Twitter, typically with me tweeting about my last great meal there, and Adam thanking me for our patronage. Our paths would soon cross in a surprising and significant way. Adam and I chatted briefly when a building in The Loop he was interested in was snapped up by the folks who run Amigos Cantina, a SPACE design, in Kirkwood. 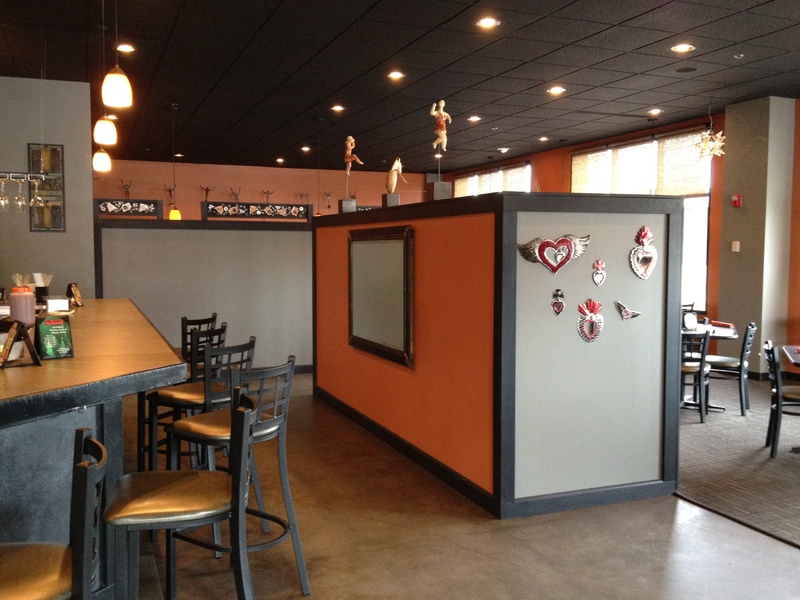 We had been working with Amigos on a second location for a sister restaurant, La Cantina. When costs for the buildout came in higher than they anticipated, the Delmar location was dropped and within days they had me tour the old Two Nice Guys location in Webster Groves, a stone’s throw from Milagro’s front door. I felt the building architecture was not a good fit for their replica “cantina saloon” atmosphere, and the added burden of competition with Milagro located a hundred yards away made no sense to me. The owner disagreed, and SPACE was dismissed. I gave Adam a heads up to let him know what was coming, and he told me that he might be able to use my help with his restaurant renovation. Sweet. Not only a new job, but a client that I connected with personally and a restaurant that I loved to frequent in my home neighborhood. When Adam and I sat down to discuss the project, I gave him my opinion on what I thought was needed in his current space. We talked about a lack of texture and warmth in the room, the separation between bar and dining areas and the milagros that were incorporated into the existing design. We also spoke of increasing the energy of the space by a stronger connection between the bar and dining area. The goal: less formal, more festive. Typically after conversation about a new design, I think about the space and the discussion obsessively until something emerges. I knew the budget was super tight, and if I started drawing up extensive plans, we were going to use up a third of it in design drawings alone. I also knew Adam was anxious to get started. I had some decent thoughts about what to do, but no drawings yet. I decided to go back and talk out the concept I had come up with to see if it spoke to him. 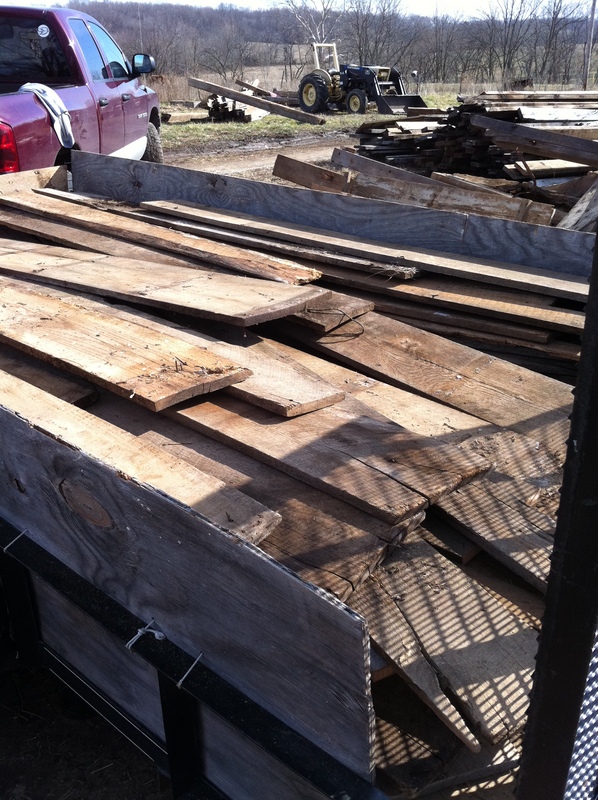 One of two trailers of wood Adam and Nathan salvaged from an old barn. Adam had his brother, head chef Jason Tilford, sit in on the second meeting. Adam understood that I was not bringing drawings, but he was familiar with our work, and a fan of our restaurant designs. As I presented the design concept without visual aids, I did my best arm waving, adjective laden pitch, then held my breath. To my relief, they said they liked the idea, and they gave me the go ahead to proceed. The trust that exists between architect and client is key to a successful project. What was the concept? It involves a lot of steel, and a lot of 100-year-old barn wood, and it will transform the space within their budget. Not wanting to deprive St. Louisans of Milagro’s incredible food, we will be able to implement the new design over a series of Mondays when they are closed, so the restaurant will not shut down. It’s a perfect custom fit for the situation. 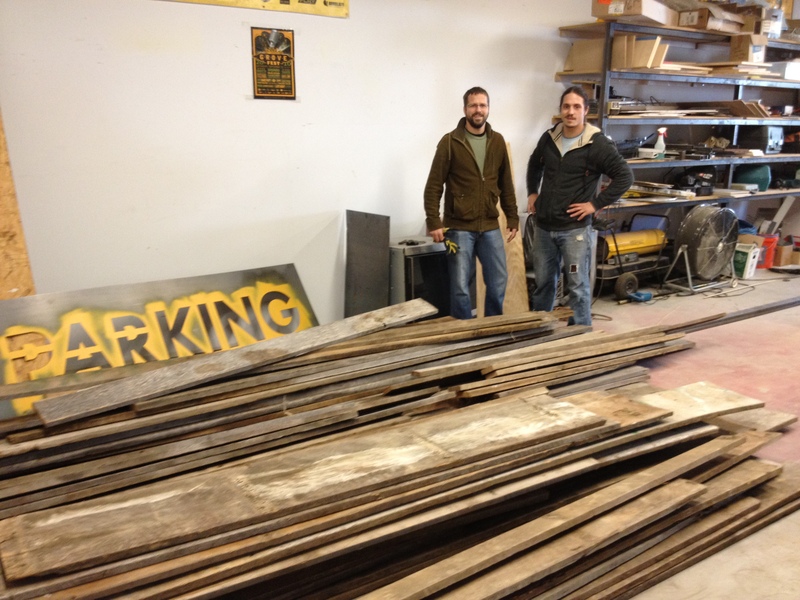 Brothers Adam and Nathan in the SPACE shop after delivering the first load of reclaimed barn wood. I’d love to show you more of the proposed design for Milagro, but…well, I still don’t have any drawings. We’ll have to do some drawings to get our metal patterns in order, and we’ll be sure to post in a future blog, so stay tuned for part two. We’ll begin to see the transformation in the restaurant beginning in the next few weeks. Trust me when I say, that after the last few challenging years, SPACE believes in miracles. Well done! Seeing how relationships like this begin and develop is fascinating…..looking forward to seeing in-process shots on the next Milagro post. The installation of the some of the barn wood will begin on Monday. We decided to start in the bar on the long wall that has the door leading to the restrooms. The entire wall will be clad in the wood. We’ll take pictures and post! I live my architectural past, present and future through you. I love hearing about Space’s progress and seeing Space’s designs coming to life. I look forward to part 2. Thanks Todd. Have you been practicing much? Are you looking to work in the field again? I have been averaging about 1 side job every 2 months or so just to keep the program and knowledge fresh in my head. Most jobs have been basement renovations, room additions or detatched garages – nothing to extreme. All jobs usually take 20-30 hours. I am extremely happy in the Mortgage Industry and plan to finish my carreer as a Banker. I miss architecture and all the experiences I had in the field, but the real passion, I once had,was burned out by Forum (C.C. & H.H). Understand. You would love it at SPACE. It sounds exciting and I can’t wait to see it when it is finished. Any chance that will be by April when i come up to St. Louis? It should be ready by then Laura, some of it will start getting built on Monday!